" 6030 pompa vitara " oppure " 3020 pompa vitara ". SUZUKI VITARA 1600. Pompa Elettrica Benzina. SUZUKI VITARAA 1600 ( ET). Ai sensi dell D.L. nr. Condizioni generali di vendita. Presso la vostra banca oppure online. 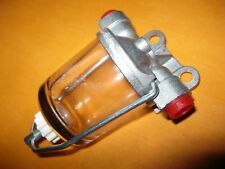 (AC DELCO TYPE) GLASS BOWL HIGH FLOW IN LINE FUEL FILTER. INCLUDES PIPE FIXING KIT . PHOTOS SHOW CLEANABLE FILTER THAT FITS IN TOP HOUSING . If you are not 100% happy with the part you ordered, we will replace the part or your money back. Pompa Elettrica Carburante Bassa Pressione per Auto a Carburatore. Adatta per qualunque tipo di carburante, benzina, gasolio, cherosene, petrolio ecc, anche per travaso di liquidi ( idrocarburi ). 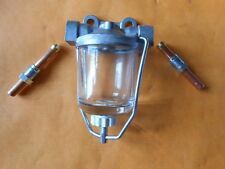 (AC DELCO TYPE) GLASS BOWL HIGH FLOW IN LINE FUEL FILTER. PHOTOS SHOW CLEANABLE FILTER THAT FITS IN TOP HOUSING . If you are not 100% happy with the part you ordered, we will replace the part or your money back. OEM Numbers 5018056AC, 5018056AB, 5012380AD, 5012380AA. JEEP GRAND CHEROKEE M2 WJ WG 4.0 4X4. JEEP GRAND CHEROKEE M2 WJ WG 4.7 V8 4X4. JEEP GRAND CHEROKEE M2 WJ WG 4.7 V8 4X4 223 BHP. JEEP GRAND CHEROKEE M2 WJ WG 4.7 V8. Referencia : 4R8Q12B579AC, Observaciones: C2c12919, citroenpeugeot 1920gn, ford 1419677, ford 4r8q12b579ac, jaguar c2c12919, landrover phf500090, motaquip lvma157, motaquip lvma345, standard 19370, standard kmf018, standard lmf018, standard mafs458oe conector de 4 pines. FISPA POC062. 500 0.5 01/1957 - 12/1961 476 cc 15 11. 600 0.6 03/1955 - 05/1961 629 cc 20 15. 0.8 (D) 100DF0 10/1960 - 02/1971 767 cc 23 17. 0.6 05/1973 - 01/1976 594 cc 18 13. 120.000 01/1965 - 12/1975 499 cc 18 13. 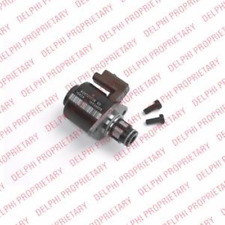 Petrol pump repair kit for the AC Delco UG & UE type pump. Referencia : CC119H307AC. Nós podemos verificar isso. Wir können es überprüfen. 03L130755AC | 0445010529. 422740 - BOMBA INYECCION AUDI A4 BER. (B8) Básico | 11.10 - 12.12. Vuoi che ti assicuriamo che questo pezzo corrisponde al tuo veicolo?. Voulez-vous que nous vous assurions que cette pièce correspond à votre véhicule?. Bomba de elevación de CA desconocido? BOMBA COMBUSTIBLE SKODA SUPERB COMBI Elegance, Año: 2011, AFORADOR CON BOMBA. Referencia : 1K0919050AC. Vendemos vehículos preseleccionados de nuestra flota asociada. Nós podemos verificar isso. Wir können es überprüfen. LOTUS ELAN, ELAN 2 ; YEARS 1962-1975. Each kit includes the various seals, valves & gaskets plus the main rubber diaphragm and pin. 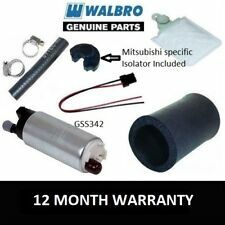 An ideal kit to repair your existing broken or worn fuel pump. This kit is suppliedNEW and boxed and for reference has the Part No.AEU2760. 360 2000 dal 1980 al 1985. 345 2000 dal 1985 al 1989. 340 2000 dal 1980 al 1984. HILLMAN MINX SERIES I-VI ; YEARS 1956-1967. SINGER GAZELLE SERIES I-VI ; YEARS 1956-1967. Each kit includes the various seals, valves & gaskets plus the main rubber diaphragm and pin. An ideal kit to repair your existing broken or worn fuel pump. 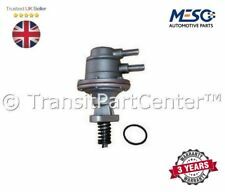 Triumph TR2, TR3, TR4, & TR4A Fuel Pump, Triumph part; 109637. Triumph TR3, Triumph TR4 and Triumph TR4A, but also fitted to a number of other classic cars Like Ford, Alvis etc. As fitted to; Triumph TR2. Petrol pump repair kit for the AC Delco U type pump. All cars 1938-1948. Light & big 15 & Six 1949-1955. Does not fit 2CV. ALFETTA 2.0 DAL 3/1983. GIULIETTA 1.3 1.6 1.8 DAL 1977-1980. TALBOT SUNBEAM RAPIER H 120 1975-1976. TALBOT HUMBER SCEPTRE 1975-1976. Petrol pump repair kit for the AC Delco UF type pump. Bomba inyeccion AUDI A4 BER. Basis, Año: 2015 0445010529 0602201144. Referencia : 03L130755AC, Observaciones: Bomba de combustible bosch oen 03l 130 755 ac — audi oen 03l 130 755 ae — audi oen 03l 130 755 ac — seat oen 03l 130 755 ae — seat oen 03l 130 755 ac — vw oen 03l 130 755 ae — vw Código interno: 250502. "3020" vitara "o bomba bomba 6030 vitara". SUZUKI VITARA 1600. SUZUKI VITARAA 1600 (ET). Bomba de combustible Eléctrico. Un filtro de combustible obstruido, lo que limita la circulación de combustible, se esfuerza en vano bomba que comienza a ser ruidoso. 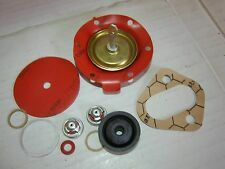 Petrol pump repair kit for the AC Delco FH & UF type pump. Bomba combustible VOLKSWAGEN PASSAT BERLINA Trendline, Año: 2007. Referencia : 3C0919050AC. Código interno: 732178. Wir können es überprüfen. Nous pouvons le vérifier. The 1" dia. In my experience it is not always necessary to replace the valves, the most common reasons for failure being a perished and cracked diaphragm or a worn out oil seal. Petrol pump repair kit for the AC Delco UG type pump. 126 PERSONAL (C/ALTERNAT) 650 DAL 1972-1987. FISPA COD.POC081. Rover P6 2000, 2200, 2000TC & 2200TC. Rover part 554684. 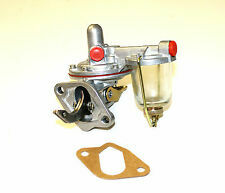 AC CORRECT TYPE FUEL PUMP NEW. A SERIE YORK (NO ZONE FREDDE) DIESEL DAL 1973 AL 1983. VW 3C0919050AC, 3C0919050Q. 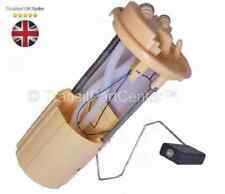 Fuel Pump In tank 0986580827 Bosch. Part Number 0986580827. Function Fuel Feed Unit. Other references. Engine Code: CBAA; Model year from: 01/2008; Model year to: 11/2009. VW PASSAT Estate (3C5) 2.0 TDI Estate Diesel 08/2005 11/2010 FWD 16 136 100. This Pump Type Was Fitted To A Few Makes Of Car - Triumph TR Series, Vauxhall, Land Rover Series 2 etc. TR-FP AC DELCO Type Fuel Pump Blanking Plate. Stainless Steel. 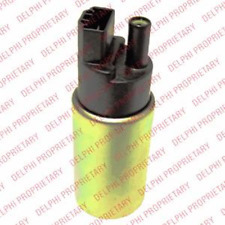 AC DELCO PART NUMBERS:XP 51052 - 93151052/. Austin 10 cwt Van ECE 1300. 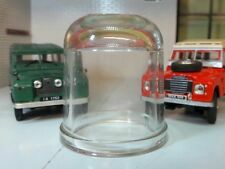 Austin Allegro 1100/1300 - Austin 7cwt Van 1100. 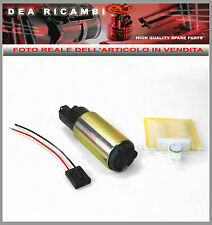 AC DELCO FUEL PUMP GAUZE FILTER. 320 ; 320 AT 2000 6 cil. 520 ; 520 AT 2000 6 cil.